Extraordinary Ministers of the Eucharist are selected by the pastor and commissioned to serve a three year term administering communion to those gathered at Sunday Masses and Holy Days following a brief training. Some EMs bring the Blessed Sacrament to the ill, homebound, to those in hospitals, nursing homes, and long term care facilities. Individuals must be fully initiated Catholics, uncompromised in their sacramental life and live in a manner that sets an example of Catholic faith and morals. Lectors proclaim the Word of God during Mass and other liturgies during the year. Lectors also lead the Prayer of the Faithful in the absence of a deacon. Each lector strives to prepare carefully for his or her role in making God's Word manifest during liturgies. Lectors require a good speaking voice, knowledge of how to use a microphone, the ability to make eye contact with the assembly while reading, and an ability to be able to pronounce biblical names and places. Above all, Lectors must possess an enthusiasm for God's Word and the celebration of Mass. Volunteers are provided training prior to assuming the ministry and additional opportunities for enrichment are occasionally provided via workshops. The Choir enhances the parish liturgies with music at the 11:00 AM Sunday Mass and at special services during Holy Week, the Christmas Season and other important holy days. It is a wonderful way to fully participate in the liturgy and to be part of a parish organization. Rehearsals are held on Wednesday evenings at 7:45 PM in Upper Church. Altar Servers assist the priest at all Masses celebrated on Sundays, weekdays, and Holy Days. They also serve at weddings, funerals, Stations of the Cross and other devotions during the year. Servers are boys and girls in 4th grade and up. Senior men and women who are available to serve at Masses during the week are welcome to join the Ministry. Volunteers assist the bereaved in the preparation of the funeral liturgy for loved ones. Adorations are held on Tuesdays from 9:00 AM to Noon. Adults proclaim the Sunday readings to the children ages 4 to 9 and lead them in prayer and reflection during the 11 AM Sunday Mass, September through June. Faith sharing groups conduct discussions during Lent. Devotions for the deceased are offered to St. Nicholas at the Thursday 8:00 AM Mass. The committee members assist the parish priests in bringing the Good News of Christ to all. Devotions are held after morning Mass on the First Friday of every month. Known as “The Catholic Faith on Demand”, this website presents thousands of movies, video programs, audios and eBooks. Visit www.formed.org. Prayer group meets on Monday to Friday at 7:45 AM, prior to morning Mass. This Council serves as an advisory group to the pastor. The purpose of the Pastoral Council is rooted in the Mission of the Parish and discernment into the opportunities and challenges to that Mission in light of present times. Once invited onto the council, each member serves for a three year term. At the discretion of the pastor, members may have their term extended by one additional three year period. Members of the Parish Pastoral Council are to be active parishioners in good standing, whose foremost priority is the development of a company of faith that fosters Stewardship, Fellowship, and Good Worship. The council consists of 6 to 12 members. 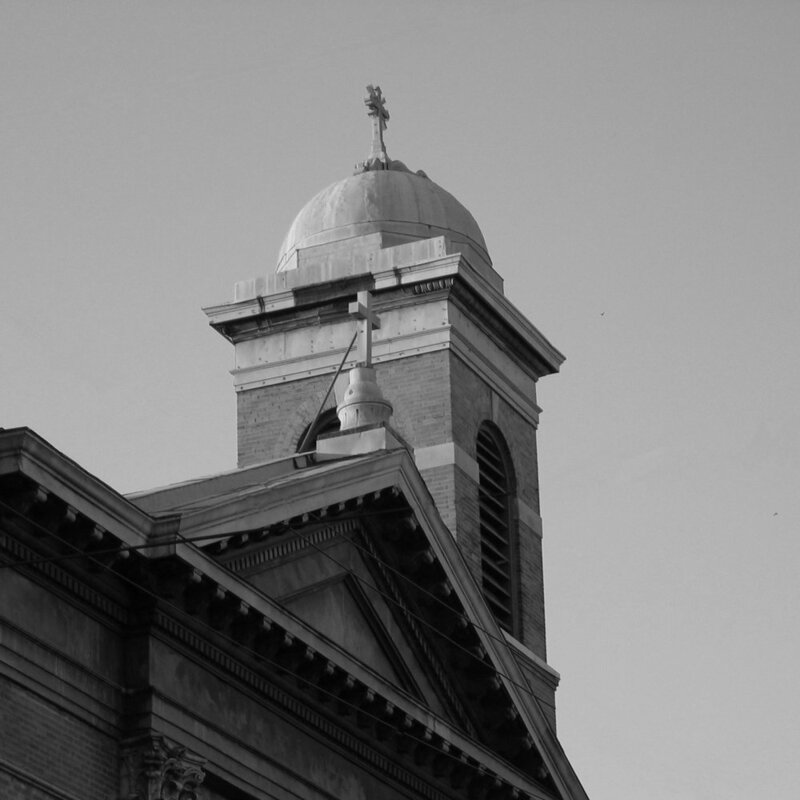 The Parish Finance Council uses the principles of cooperative involvement and consultation to assist the pastor in achieving the most responsible stewardship of the parish's material goods and resources. The council assesses the adequacy of resources to meet the goals and plans approved by the pastor and plan for the long-range financial and physical needs of the parish. Members of the Finance Council must be active parishioners in good standing whose foremost priority is the development of a community of faith and who view their concern with finances in that context.